Search for available properties, initiate your rental online, and conveniently pay with your Visa, Mastercard, American Express, or debit card. Whether your visit is planned for a week, a month, or the entire season, our team will be happy to help you find your ideal seashore retreat. Call the RJ Soens Group specialists at (877) 746-7355. Our dedicated rental team is available seven days a week to serve your needs and respond quickly to guest inquiries. We have the experience and knowledge to guide you in your rental business along with the location, contacts, and resources to maximize your investment! From bayfront to beachblock, there’s something for everyone on the Seven Mile Island. 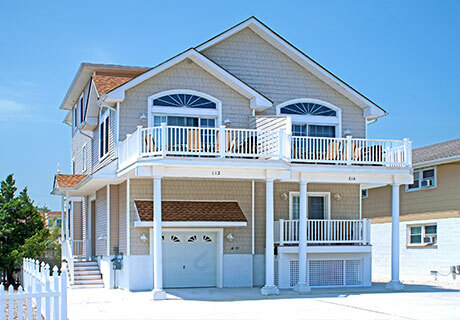 With these beach house rentals in NJ, no place is too far from the beach or bay! 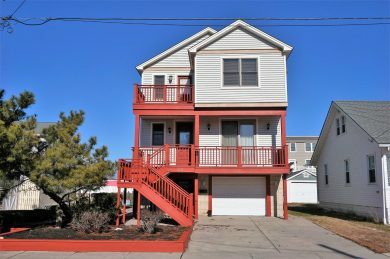 This portion of the island offers the greatest variety of properties and is ideal for finding the most ideal beach house rentals NJ has to offer. There are many Cape Cods, Ranchers, studios, two-stories in the mid-island areas, and townhouses for rent in NJ. The amenities within the homes can vary, and there is always plenty to choose from. Among New Jersey vacation rentals in the area, there are several modern, air-conditioned homes, with some even offering 6-8 bedrooms, swimming pools, and many other amenities for larger groups or families on vacation. If you are looking for the most budget-friendly Avalon vacation rentals available, an inside property is the way to go. Many of these rentals are available for a single week and require a minor security deposit. An inside, small Rancher typically costs less per week than beachblock properties, but keep in mind that the cost will vary depending on what the property offers. 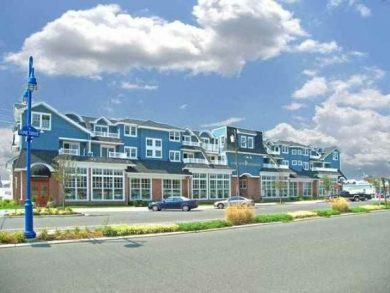 You can also check out Avalon apartments — NJ is never short on housing options at its beautiful shores. With the homes well within walking distance to the beach, it is easy to access the ocean or bays, even on foot. Remember, the widest part of the island is only four blocks away from the beach! Rental properties are just a few paces from the beach. The distinct advantage of a beachblock property is the close proximity to the water, so this is a prime location for beach lovers! Usually a beachblock house will offer gorgeous views of the ocean from the decks, and you won’t even have to cross the street to access the waves. Summer rentals in NJ are all about the coastline – and of course, the closer you get, the better the view. Feel the breeze and listen to the calming ocean sounds. With a beachblock rental, you can finally relax. Avalon beach rentals include condos, townhomes, and even large estate homes. Condo rentals are especially great for when you want easy access to the sand while staying under a modest budget. Most will still offer as many as 3-5 bedrooms, so you and your family have plenty of space. Would you like a more luxury option? Step inside one of the many Avalon house rentals with large open floor plans, stunning new kitchens with granite countertops, stainless steel appliances, and updated accessories. Some Avalon and Sea Isle City, NJ rentals may require a larger security deposit depending on their size and amenities. Whatever your needs, a beachblock location is sure to provide a convenient location to the shoreline. 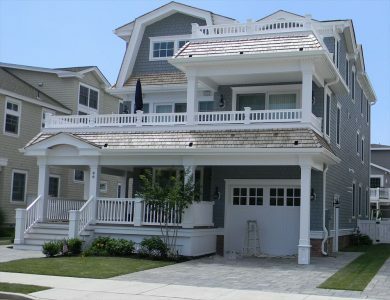 Summer rentals in NJ – as close as you can stay to the water without being in it! 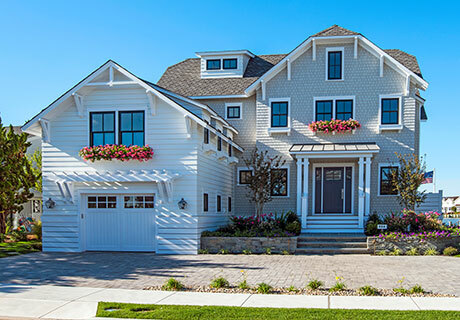 If you prefer the bay to the beach, a Bayfront home may be where you want to stay. A Bayfront property has direct access to either a canal, harbor, or the Intracoastal waterway. Wave to passing boaters or go out and join them! Bayfronts in Avalon and Stone Harbor usually face West, where you can watch a stunning sunset. Some properties over the bridges or in the Fingers do not face west but still have great water access and views. Most Bayfront rental properties have access to either a dock or boat slip, so you can bring your boat from home or rent a boat to use during your stay. Take the boat out and do a little fishing and sight-seeing before pulling up right to your rental property. Just like with Beachblock properties, the selection of home styles available for Bayfront properties varies depending on both your budget and individual needs. However, prices are slightly lower than what you would pay for a Beachblock.If your ideal vacation is relaxing on the dock of a bay watching boaters cruise on by, then this is definitely the location for you! Beach house rentals – as close as you can get without sleeping on the beach. Beachfront properties provide the full island experience. The views of the water are unparalleled, and many beachfront properties are luxurious and full of modern amenities. Don’t forget to soak in all that sunshine with the friends and family! The good news is that there are many beachfront owners who are willing to accept rentals in their current homes and other properties. While their deposits are comparatively higher than other rental properties in NJ, they can accommodate more people per property than other property types. 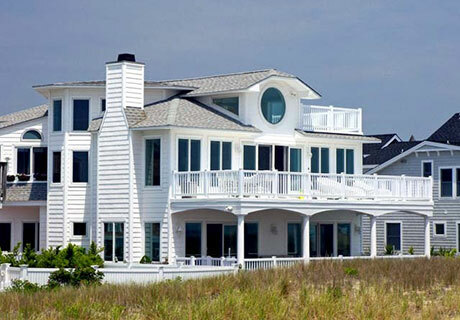 You can typically fit 10-14 people in a beachfront home very comfortably. The minimum rental period may be two weeks or longer, and frequently security deposit requirements are proportionately higher than other homes. However, you cannot get any closer to the ocean than you can with a beach house rental. These rentals are highly coveted for their prime location and endless views of the water. Condo rentals are best for the ultimate family getaway. 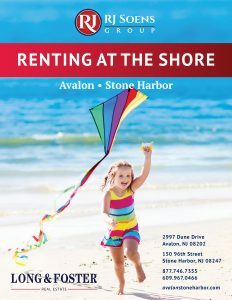 When you arrive to Avalon and Stone Harbor, you will see that there are several condominium complexes to choose from. You can find condos on the beachfront or Bayfront, depending on your preference. Some are an easy walk to town while others are tucked away in quieter areas. For more economical renters, a condo can provide exactly what you need in terms of staying within a budget. However, often with condo rentals you have access to many amenities that you would not if you rented a home. While some are more simple with basic features, others have pools, exercise facilities, private beaches, and other extras that can make your vacation feel just a little more luxurious.The size of the condos available ranges from a studio to four bedrooms. Keep in mind that some condominium associations have a two week or more minimum rental requirement. As with all the properties, the price of this cozy option is highly dependent on and can change based on size, location, amenities, and when you visit. Two-family townhomes are available throughout the island in Bayfront, inside, beachblock, and beachfront locations. By renting a unit in a townhome, you can enjoy most of the same amenities that you would from renting a single-family home.Many will still have their own private yard, decks, and driveway, so you do not have to worry about “sharing” these features. With a range of locations to choose from, you can pick a townhouse in an area that fits your needs best. The costs of renting a townhome will be slightly less every week than renting a comparable single family home, so this option allows you to save a little money while still having access to all of the same features.While the townhouses for rent in NJ may not be as large as some single families, there are townhomes available with up to 6 bedrooms to accommodate you and your whole group. Enjoy the island all summer long with seasonal rental properties! There are many different types of properties available for seasonal rentals, including properties to rent on the beachblock, Bayfront, and beachfront. Once you visit Avalon and Stone Harbor, you are likely to fall in love with the island. You may even decide to stay for the entire season! From condos to town homes to single family homes, seasonal rentals come in all shapes, sizes, and locations.Some properties from each category are offered for rent for the full summer season or half-seasons so you can enjoy an extended stay on our beautiful island. Most of the seasonal properties are available from the end of May to the beginning of September. When utilizing a seasonal home instead of a rental on a week-by-week basis, there are some distinct differences. With a seasonal rental, you are responsible for paying the utilities for the duration of your stay. Another difference is that with seasonal rentals, security deposits can be a bit higher. For more detailed information about seasonal stays in Avalon and Stone Harbor, contact RJ Soens Group today. Come spend more time on the island and see what all the fuss is about. Packed full of important information and resources geared specifically for those planning to rent a property on the island. Seven Mile Island is a little piece of paradise on earth, and it is the perfect place to make your next vacation destination. 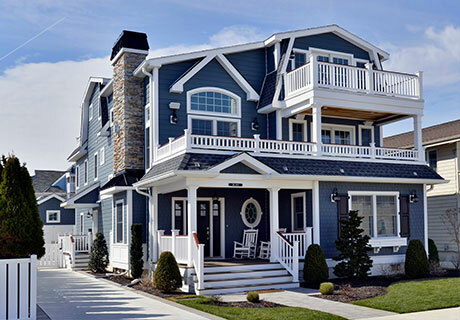 No matter what your rental needs are, or the size of your group, there are a broad variety of rental properties available for you to choose from in Avalon and Stone Harbor. Why wait any longer to begin your next vacation? Here at RJ Soens Group, we aim to help you with your vacation needs. We have a highly experienced team of real estate experts as well as a dedicated rental team that is there for you seven days a week. We cherish each relationship we have developed with renters and property owners alike! RJ Soens Group can help you find the perfect rental property to make your vacation a flawless one-of-a-kind experience. Our team place is passionate about helping our clients, so feel free to use our website and resources to search available rentals. Discover your paradise, stay updated on the real estate market in New Jersey, or get started planning what may be the best vacation you have ever had. Give our specialists a call today 877.746.7355. What you need to know to make the most of your rental. Rentals are managed on a weekly basis, typically running from Saturday unless otherwise noted or by request. Check In time starts at 1pm or later. Check Out time is usually 10am. You are responsible for local laws pertaining to noise restrictions, recycling, and designated use. Have questions or need special arrangements? Don’t hesitate to call us today! Are You a Rental Owner? Visit this site to log in to your Long & Foster owner’s account.